If you find yourself searching for new tires in Albany, NY frequently, chances are you’re abusing them. Don’t feel bad, a lot of people don’t realize how long their tires can go, how durable they are, or the amount of care they need. Therefore, it’s important to be vigilant about making sure your tires are in prime condition. To guarantee their good health, there are a handful of things you can do, like maintaining proper tire pressure, checking the tread, paying attention to when the next alignment or balance is due, rotating them regularly, and driving in a civilized manner. Like a lot of parts on a car, tires have an expiration date influenced directly by how well you take care of them. Because of this, and the fact that tires play a big role in your safety on the road, it’s important to make sure they are in good shape, and that you can recognize when it’s time to repair them, or get a new set entirely. This is perhaps one of the easiest tasks to perform on a car and is also one of the most important. Not only does maintaining proper tire pressure make sure your tires won’t pop or get damaged, but it provides a host of benefits to your car like keeping your fuel-efficiency up, providing good traction and stability, lessening the impact of bumps, and providing a more comfortable ride. The tires are what your vehicle sits on, so it only makes sense they play such a pivotal role for its overall well-being and performance. But, getting back to talking about the tires specifically, if your tires are under-inflated then you increase the risk of blowing a hole in the sidewall, or even popping a flat if you go over an object that’s relatively sharp. Not to mention, if you hit a pothole with a flat tire, you run the risk of damaging the wheel or axle since the tire wasn’t inflated enough to protect either one. Maintaining the pressure is simple – all you need is a tire gauge and an air hose/compressor. No, you can’t tell just by looking at it. You need a gauge to make sure that there is the proper amount of psi in each tire. Look on the side of the tire, and you will find how much psi the tire is rated for. Then, unscrew the valve cap and put the tire gauge on the valve stem. You will get a reading, and if it matches the number you found on the tire, then it’s okay. If not, put on the air hose and fill it up. Don’t exceed the max psi rated for the tire. 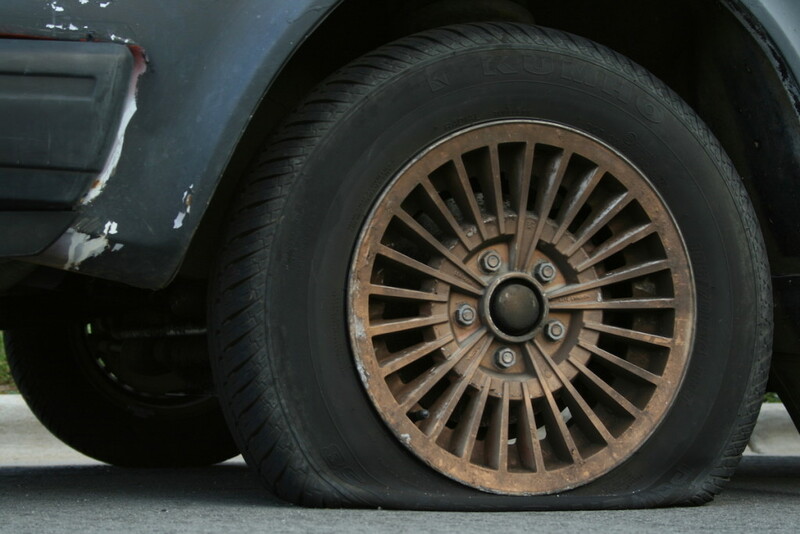 Over-inflating the tire can cause just as much damage as under-inflating. Afterwards, just screw the valve cap back on, and you’re good to go. 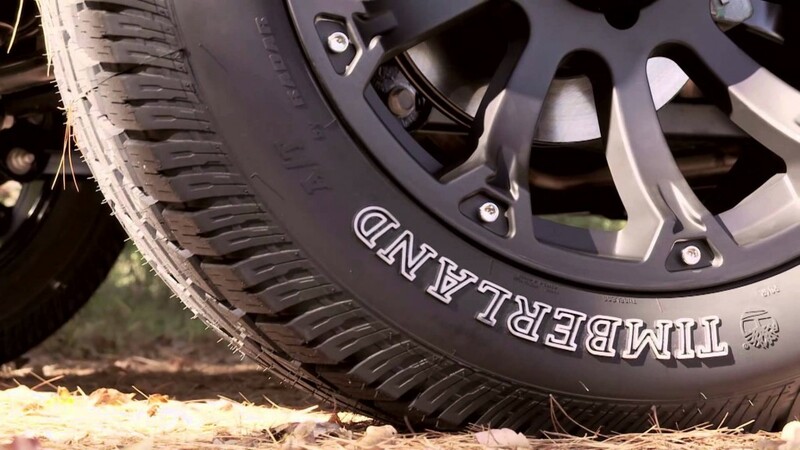 An act that takes five minutes total for all four tires, and practically costs no money, will prevent a multitude of more expensive and time consuming issues that may pop-up from having low tire pressure. 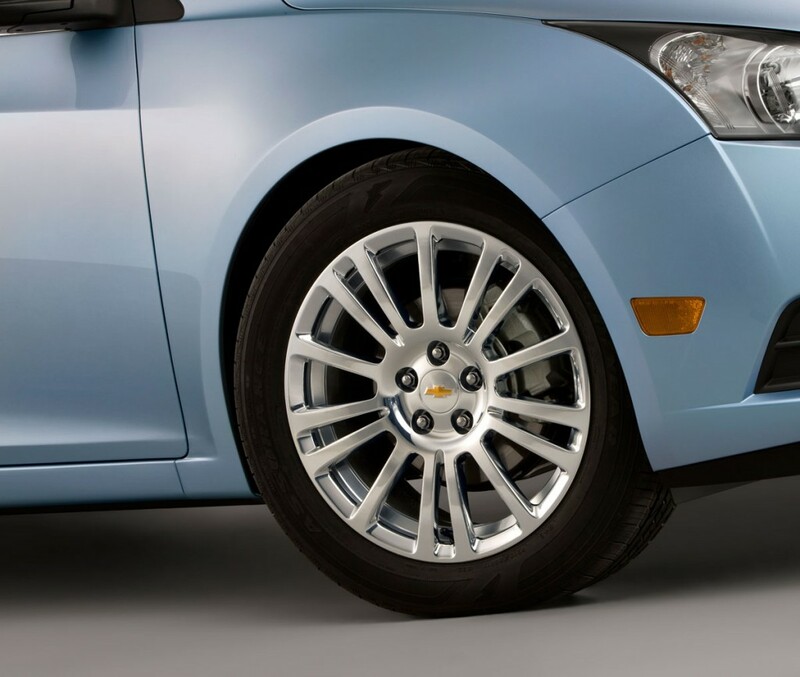 While checking the tire pressure, don’t ignore the tread on your tires. The tread is that aggressive looking rubber that’s raised away from the rest of the tire. If the tires look bald or smooth, then it’s time for some new ones. If the tread looks like when you first got the tires, then you are all set. But, what about when the tread isn’t able to be eyeballed? Simple, the penny test. Take a penny and hold it upside down with Abe’s head facing you. Stuff good ole’ honest Abe in between several tread grooves on your tire, and if it you see the top of his head the whole time, then you need new tires. If the top of his head is covered, that means you have 2/32 of an inch of tread depth remaining, and you are all set for now. 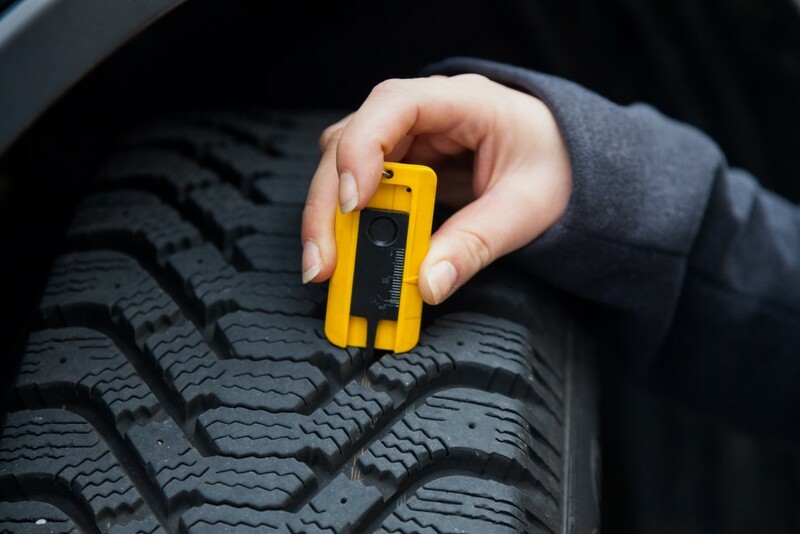 This is another simple way to check if you need new tires or not. Also, while it’s not a way to directly maintain the health of your tires, it’s a way you can directly maintain the safety of you and your car. When was the last time you had your tires aligned? When was the last time you got your tires balanced? If the answer to either of those questions is “I don’t know,” then you should probably go visit a mechanic. When you were checking the tread depth on your tires and noticed uneven wear, that’s a sign that you need an alignment. How did this happen? You could have hit a pothole, backed over a curb, or even had a minor fender bender and knocked the suspension out of alignment. Alternatively, whoever replaced your tires last could have forgotten to do an alignment, which means they aren’t all tracking straight in the same direction the car is traveling. Whatever the case, making sure your suspension is properly aligned will prevent the tires from fighting each other in opposite directions, which results in uneven wear on the tread and an early trip to the tire-graveyard. Getting your tires balanced isn’t a one time thing, either. Although it happens whenever you install a new set of tires on your car, that doesn’t mean the balance still applies years down the road. The tires wear down and lose tread, and all of a sudden the balance the mechanic’s achieved with their machine doesn’t apply anymore. The result? Those wheel weights they installed on the tire to maintain balance actually begin working against you, since the weight of the tire is different now. Typically, you can tell when your tires are out of whack because the misalignment causes unusual vibrations in the steering wheel, and can seriously harm your tires if left unaddressed. Get your tires balanced every time you rotate them. If that seems like overkill to you, then balance them every three rotations to be safe. Generally speaking, you should rotate your tires out at least once a year or every 5,000-8,000 miles. Tire rotation involves swapping out the front and rear tires to ensure that the tread on the tires wears evenly. Depending on if you have a FWD or RWD vehicle, the power is sent directly to the designated axle, which means those tires are doing most of the work. Since they are experiencing this increased abuse, the rear tires on a RWD car will wear down much faster than the front tires. Being vigilant about regularly rotating your tires is a good way to ensure that the tread wears evenly, allowing your tires to last longer. Finally, go easy on them. They aren’t invincible after all, and doing 50 mph down a rough dirt road is not only most likely illegal, but dangerous for you and your car’s tires. It’s like anything on a car, the more you abuse it the shorter amount of time will last. 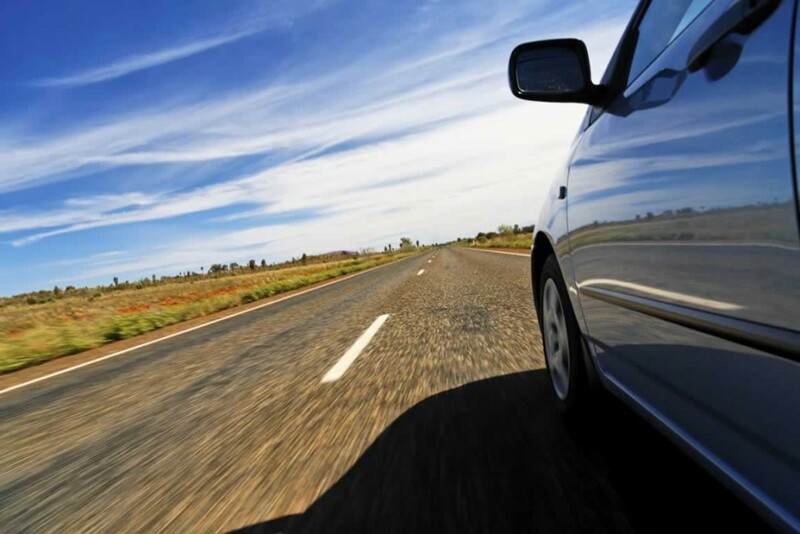 If you are constantly stomping on the brakes, then the pads will wear down faster. Make sure to avoid objects in the road, even if you don’t think one of them will hurt your tire. You’d be surprised what a decent size rock could do to a tire that’s under-inflated. Therefore, drive safe and with the health of your tires in mind. 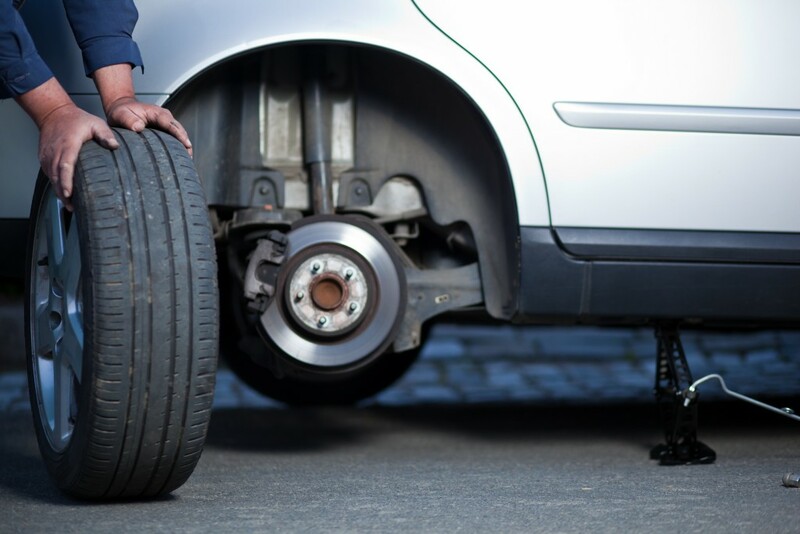 If you pay attention to the five tasks mentioned on this list, you will be able to ensure the health of your tires, and identify if and when you need new ones. But, installing your own set of tires is ill-advised unless you have a tire balancing machine. If you don’t do it right, you can cause some serious problems. Let professionals like the service team at DePaula take care of it to guarantee that your tires are properly and safely installed. Our expert technicians know how to work with tires, and we have all the proper equipment to repair or replace any tire you bring to us.